At Hidden Secret we believe that our clients deserve a little bit of luxury when it comes to beauty treatments, whether that be a massage, manicure, pedicure or an innovative Guinot facial. We therefore have a full beauty offering within the salon, ensuring we can take care of all our clients’ hair and beauty needs in one beautiful space. Our talented and experienced beauty therapists are highly trained and incredibly passionate about what they do. They continuously develop their knowledge and skills with high-end brands such as Jessica and Guinot to bring the best in beauty treatments to Kidlington. 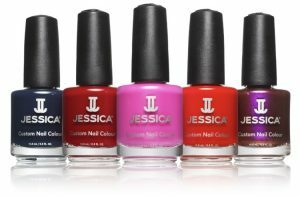 Jessica Cosmetics is widely considered as a world leading nail brand. Their range of products have been specially developed over the last 40 years to achieve and maintain naturally beautiful nails. In addition to Jessica nail care and nail polish products, Hidden Secret also offers Jessica GELeration, a high quality soak-off gel nail system. GELeration offers weak, bitten or problem nails the opportunity to grow underneath the gel in a safe, nurturing way with no Formaldehyde, Phyhalates or DBP. Luxury versions also available, please ring the salon for more information. L’institut Guinot – Paris was found by French biochemist Rene Guinot, who introduced a revolutionary professional skincare treatment – cathiodermie – in the 1960’s. For the past 30 years the company has been at the forefront of advantages in the beauty industry with Guinot being one of the first professional skincare companies in include the ‘cellular life complex’ in its skincare products. Hidden Secret therapists have been extensively trained by Guinot so we can help our clients care for and maintain a healthy complexion, regardless of skin type and individual needs. Before each treatment we analyse skin types before adapting the facial to suit clients bespoke requirements whether that is anti ageing, deep cleansing, radiance etc. Thanks to Guinot we can confidently say Hidden Secret has a facial for everyone! This relaxing and energising massage uses essential oils for a moment of pure bliss. The relaxing massage provides you with amazing soft skin and a feeling of well-being and serenity. Unwind in Hidden Secret’s house facial. This express facial is ideal for those on the go. Your skin will be cleansed, lightly exfoliated and gently massaged. A mask is then applied suited to your skin, followed by a moisturiser to finish. The pinnacle of anti-ageing treatments, age summum uses pure vitamin C, hyaluronic acid and pro-collagen to target the signs of ageing. Active ingredients are penetrated into the skin using the exclusive age summon anti-ageing facial massage. Fine lines and wrinkles are smothered and the skin’s youthful radiance is restored. This treatment focuses on restoring firmness and youth to the skin which is showing signs of ageing and fatigue. The modelling and gentle heating effects from the thermo-lift mask penetrate the active ingredients into skin leaving the face firm and the skin smooth. Powered by essential oils, this luxurious, holistic treatment uses carefully selected plant concentrates to bring natural beauty to your skin. The bespoke treatment method combines the benefits of essential oils with unique massaging techniques to fill your skin with energy. Concluding with an aromatic mask, your skin will restore its natural radiance. Guinot’s hydra peeling facial is a skin rejuvenating treatment that is tailored and prescribed based on the clients beauty goals and level of skin sensitivity. An alternative to aesthetic medicine, this facial helps to erase visible signs of ageing, attenuate dark spots and brighten the skin tone whilst recovering a radiant complexion. Hydra Peeling PH- requires a skin test 48 hours prior to the treatment. The ultimate lifting treatment hydraderm cellular energy age logic. A combination of hydraderm cellular energy lift and the hydraderm cellular energy age logic will leave your skin looking fresh and radiant. Experience an immediate lifting treatment through the simulation of the muscles, lifting the face, added firmness and leaving an overall younger appearance to the face. The instant eye repair treatment. This unique treatment targets signs of ageing and tiredness around the delicate eye area. Including fine lines, wrinkles, puffiness and dark circles. Using an expert combination of machine technology, a specific hands-on massage and a specifically designed eye mask soaked in a concentrated skin repair serum for maximum effectiveness, 87.5% of volunteers found their wrinkles and fine lines to be diminished and smoothed away*. The advanced complexion rejuvenating treatment. Achieve immediate result with Guinot’s brand new, revolutionary treatment which provides the alternative to aesthetic surgery. Using dynamic ionisation and thermal energy, this patented technology encourages the cellular energy in the skin which beautifully enhances and spectacularly rejuvenates the complexion. The unique treatment, with a variety of bespoke variations to suit your skin type and concerns allow you to achieve exceptional, visible and clinically proven results after just on treatment. The advanced complexion lifting treatment. We can’t fight against time, but we can reduce the effects of time on the skin. The effective listing treatment stimulates the facial muscles using a low frequency current which caused a toning action, stimulates the facial muscles using a low frequency current which causes a toning action, stimulating the muscle fibres in the skin leaving a smoother, firmer and more youthful appearance to the complexion. 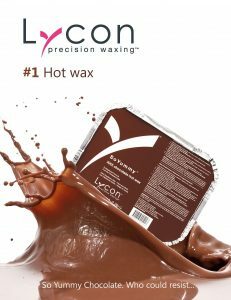 Using only the finest resins, natural ingredients and aromatherapy oils, lycon is the professionals choice in quality wax and an essential ingredient in leading salons around the world. We offer hot waxing for intimate areas; a pliable and virtually pain free wax that shrink wraps and removes hair as short as 1mm. We also offer strip wax for all other areas; a super thin wax that is virtually pain free. Massage is often a treatment chosen for its relaxation benefits. However, there are many more health advantages associated with regular treatments, including; improving circulation and lymphatic drainage, reducing muscle tension, managing anxiety and headaches, reducing stress and insomnia, and enhancing recovery from strains and injuries. At Hidden Secret we are pleased to be able to offer a wide variety of massage treatments to meet your needs. To discover which massage would benefit you please speak with our experienced therapists. Consider the amount of time you spend on your feet and how little care and attention you pay them. Every part of your body is reflected in your feet. This ancient technique which dates back to 4’000 B.C. assesses instinctive reactions to a stimulus before treating symptoms. Health benefits of this non-intrusive treatment include; stress reduction, pain management, promoting relaxation, improved nerve function, increased circulation, boosted energy levels, and reduced migraines and headaches. If you don’t like having your feet touched, hand reflexology is also available. This non-invasive therapy helps to cleanse and clear the ear, whilst relieving stress and revitalising the body. 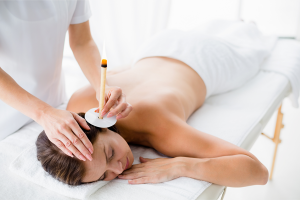 A delicate, hollow, beeswax candle is placed in the ear helping remove the build-up of wax. This treatment is complimented with a light pressure facial massage to relieve sinus problems, headaches and release any congestion. At Hidden Secret we understand that males also like to take pride in their appearance and therefore we offer an extensive range of specialised beauty treatments for gents. 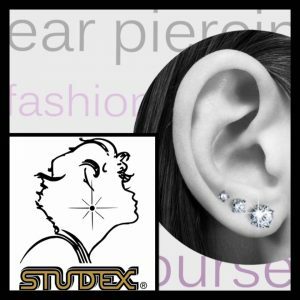 We are a Studex certified salon for ear piercing; the worlds largest manufacturer of ear piercing equipment. Great choice of earrings to choose from, as well as a complimentary ear care solution to take away. We have an online booking system for you to book your hair or beauty appointment.